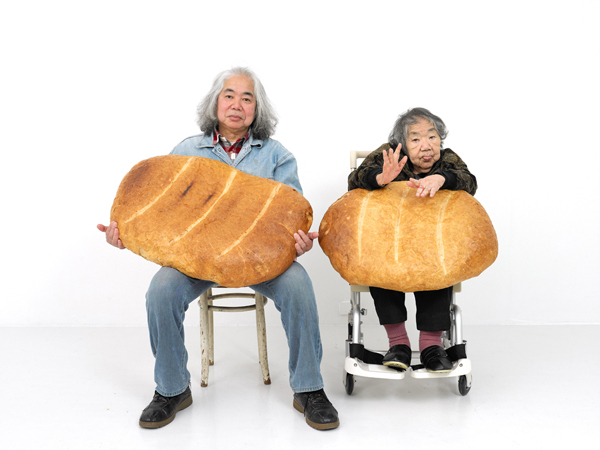 Top　»　Exhibitions　»　Tatsumi Orimoto "BIG BREAD"
Bambinart Gallery is pleased to present a solo exhibition by Tatsumi Orimoto "BIG BREAD". Orimoto traveled to California in 1968 and then moved on to New York in 1971, forming friendly connections with Nam June Paik. He became a Fluxus member and practiced in a wide range of media varying from performance, installation, to photography. His "Small Mama + Big Shoes"(1997) from the ART MAMA series was presented in the 2001 Vienna Biennale. 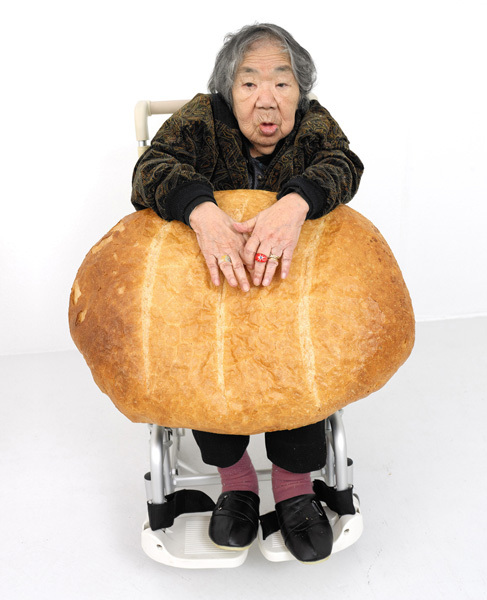 Other works such as "Tire Tube Communication", "An event to make my mother grow taller", and "Bread-man" have also gained international recognition and acclaim. In this show, the gallery will hold and installation titled "BIG BREAD" with an accompanying performance scheduled for the opening night. There will also be a talk and film screening held in the men's bathroom on the same floor (This is also only for the opening night) Why the men's bathroom you ask? Orimoto chose the bathroom as his space for presentation as a reflection of his belief that art should exist outside the white confines of a gallery or museum. We hope you will have the time to visit the gallery.